CHANCE BELGIUM: Witsel picks it up on the edge of the area and puts his foot through it. The shot is low but goes wide of Tim Howard's goal, but only just. USA starting to look tired, Klinsmann needs to freshen things up. Yedlin showing his potential going forward, terrorising the Belgian defence, but leaves a massive gap at right back. Belgium look to counter again but the ball is cleared. It's so end-to-end, I can barely type fast enough. 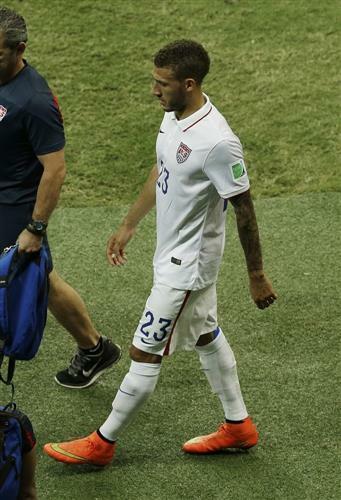 Second half, here we go..
U.S. right back Fabian Johnson has left the World Cup game against Belgium in the first half with a strained right hamstring. Big blow for USA as Yedlin comes on for Fabian Johnson. Huge loss. He's had a great tournament. Will it be a 1-Nil game? Personally, US needs better players/coaching. They were lucky Ghana didn't get one more goal. I just don't feel US is making it out of top 16. Belgium have had 6 corners in under half an hour. Gives you an idea of the pressure the USA are under. But there's always the counter attack potential that USA showed against Portugal and Germany. They are up for this one. 28 Mins- It's a frantic pace in Salvador. The USA are under the cosh and absorbing a lot of pressure. Corner to Belgium. CHANCE BELGIUM: Vertongen streaks down the left and crosses it back for Fellaini but it's cleared off the line by the USA. 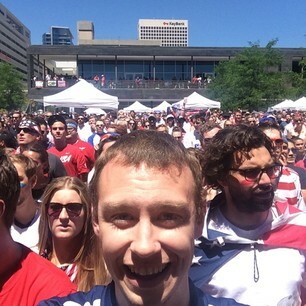 All Belgium now and the USA are camped in their own half. No wonder why Mourinho sold De Bruyne. Perfect example. 22 MINS - CHANCE FOR BELGIUM! Susi coughs up possession in the centre circle and Belgium have men over. The ball is fed to Kevin De Bruyne who cuts inside onto his right foot and drags a weak shot wide of Howard's goal. Bad miss. Big there from Roonaldo. 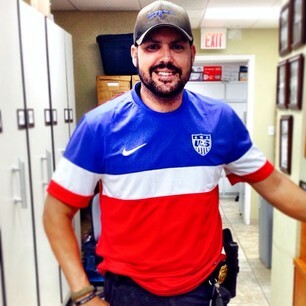 My question is: who's not supporting the US of A today? 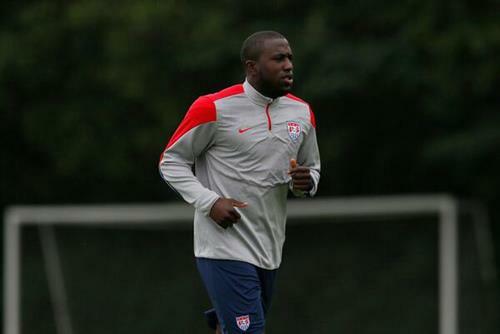 Jurgen Klinsmann says Jozy Altidore won't start. Not a surprise. 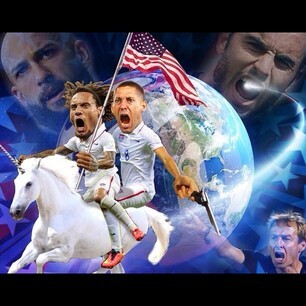 Beyond all the hype ahead of tonight's match, it's worth considering whether USA actually have a chance tonight. And I for one reckon they do. 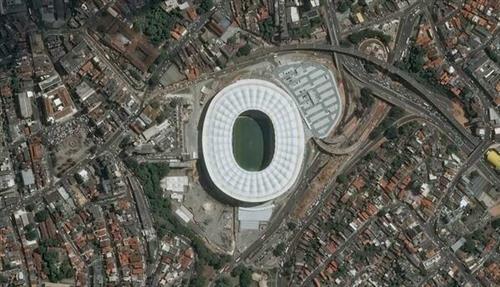 If you look back at the Group stages, they were unlucky not to beat Portugal. That last minute pinpoint cross from Ronaldo was too good, but Portugal were not. The Germany match, USA exploited the fact they had not natural full backs. Belgium don't either. USA play attacking football, but you feel they need to bag an early goal if they are to keep pace tonight with the Belgians. 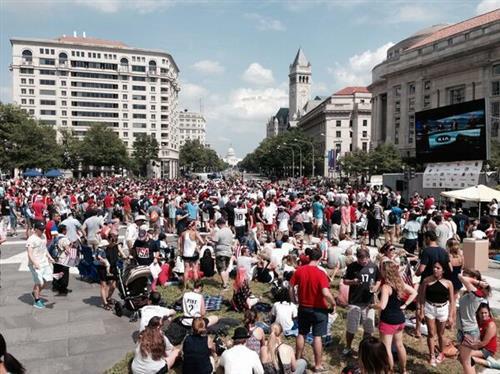 I think it's fair to say that the USA fans are a bit excited about tonight. But should they be worried? Manager Jurgen Klinsmann isn't too happy about the choice of referee and had a fair bit to say on it.